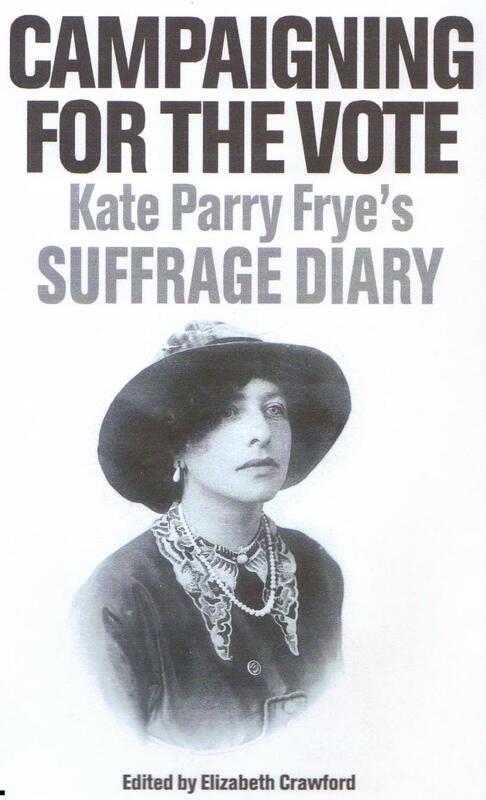 ITV has selected Kate Frye – to be portrayed by a leading young actress – as one of the main characters in a 2014 documentary series to mark the centenary of the outbreak of the First World War. 187. SENIOR, Mrs Nassau Pauper Schools HMSO 1875  ‘Copy ”of a Letter addressed to the President of the Local Government Board by Mrs Nassau Senior, lately an Inspector of the Board, being a reply to the observation of Mr Tufnell, also a former inspector upon her report on pauper schools’. This was a follow-up to Mrs Senior’s 1874 report. 311. MRS EMMELINE PANKHURST  real photographic postcard. She is wearing a shield-shaped WSPU badge – in the chevron design. Fine – unposted – a rather unusual image – the first I’ve had in stock since 2000. 337. [HALL] Edith Hall Canary Girls & Stockpots WEA Luton Branch 1977  Memories of life in the First World War – and of the ’20s and ’30s. During the War Edith Hall’s mother was landlady to munition workers – ‘the Canaries’ (so called because the chemicals turned their skin yellow) at the Hayes factories. 340. GRANT, LILIAS and MOIR, ETHEL ‘Uncensored Diary’ and ‘Uncensored Letters’  Lilias Grant wrote the ‘Uncensored Diary’ and her friend, Ethel Moir, the ‘Uncensored Letters’ while on service together – as orderlies – with Dr Elsie Inglis’ Serbian-Russian Unit of the Scottish Women’s Hospitals in Rumania and Russia between August 1916 and April 1917. Also in that unit were Elsie Bowerman and Yvonne Fitzroy – and many other figures now well known to students of the SWH make frequent appearances. Ethel Moir did further service with the SWH between Feb 1918 and Jan 1919 with the ‘Elsie Inglis Unit’ in Salonika, Verbiliani and Hordiack and recorded that experience in a second section of the ‘Uncensored Letters’. These foolscap typescripts (or, in the case of the Moir Letters, a xerox of the tss) have been bound and were each inscribed by Lilias Grant (by then Mrs Lilias Dyson) and given in 1972 to her friends Nina and Ian Cameron of North Petherton, Somerset. Laid in the Moir volume is a letter from her husband, Dacre Dyson, explaining that there are only 3 copies of the Moir tss (and, by inference, also of the Grant Diary). One set is this set, owned by the Camerons, one is in the possession of Ethel Moir’s sister and the Dysons’ own set is destined, in due course, to be given to Edinburgh Central Library. Lilias Dyson died in 1975 and her husband in 1980 and their set of tss is now in the ECL. Indeed it was after reading the tss there that the playwright Abigail Docherty wrote her SWH play ‘Sea, Land and Sky’, staged at the Tron Theatre in Glasgow in 2010. Audrey Cahill published excerpts from the diary and letters in ‘Between the Lines’ (see item # ). Although she been unable to find anything further about Lilias Grant, the extra information provided in the laid-in letter and note that accompanies these volumes has made it possible to establish that, born in York in 1880, in 1922 she married Dacre Dyson, a Ceylon tea planter. They lived in Ceylon until at least 1938 and after the Second World War were living in Burley in Hampshire. Ethel Moir and Lilias Grant, who were both living in Inverness, had been friends before, together, joining the SWH The whereabouts of the third set of the tss is at the moment unknown. The New Constitutional Society’s War-Work Work Room c 1915. This entry was posted on April 26, 2013, 11:20 am and is filed under Books And Ephemera For Sale, Collecting Suffrage. You can follow any responses to this entry through RSS 2.0. You can leave a response, or trackback from your own site.